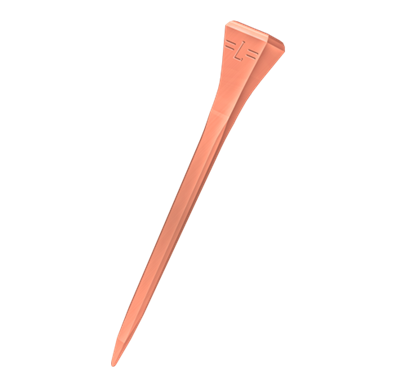 Extra durable, extra length, better pitch Extra strong head & shaft Less stress on the nail head Perfect in combination with pads Made with Cu Shield Technologies TM Extra sharp & extra smooth for less damage to the hoof wall Liberty Cu horseshoe nails are made with Copper (Cu) Shield Technology TM. 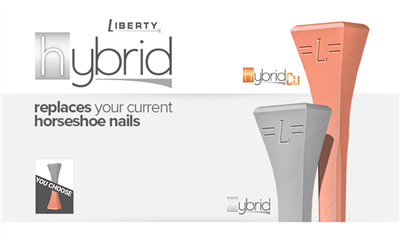 Liberty Cu horseshoe nails are made with Copper (Cu) Shield TechnologyTM. 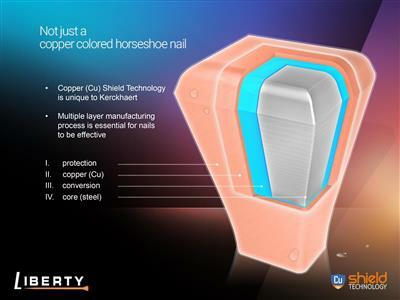 This provides much more protection than traditional horseshoe nails. 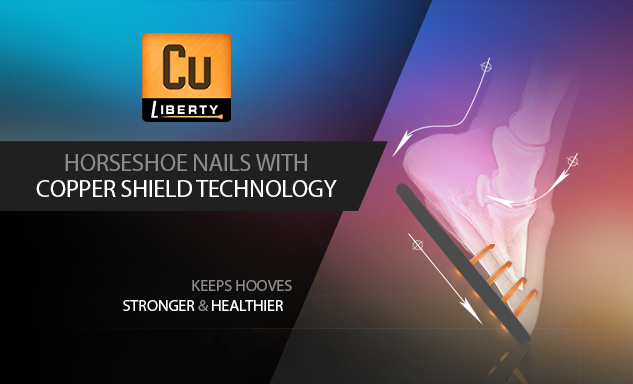 Hoof wall, white line and sole are stronger and healthier, when used on daily basis. 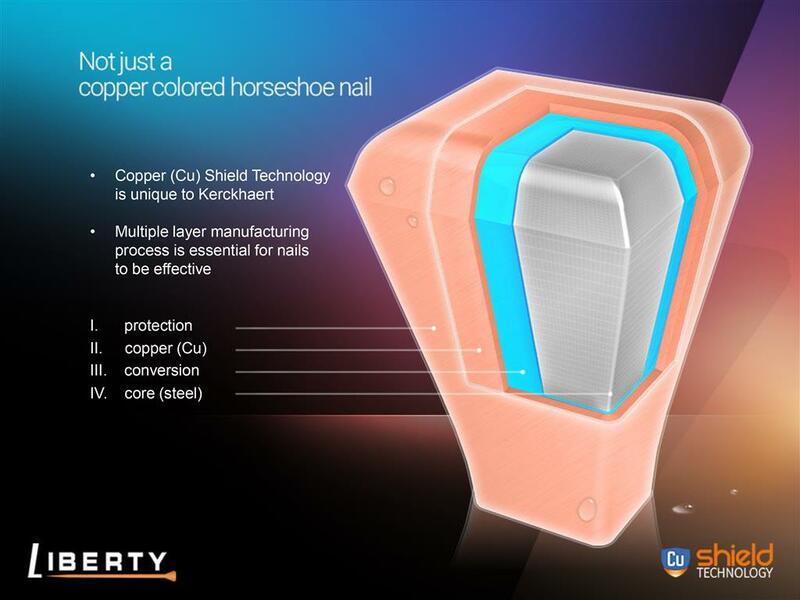 In 2016 two independent scientific studies on LibertyCu horseshoe nail have confirmed these benefits. 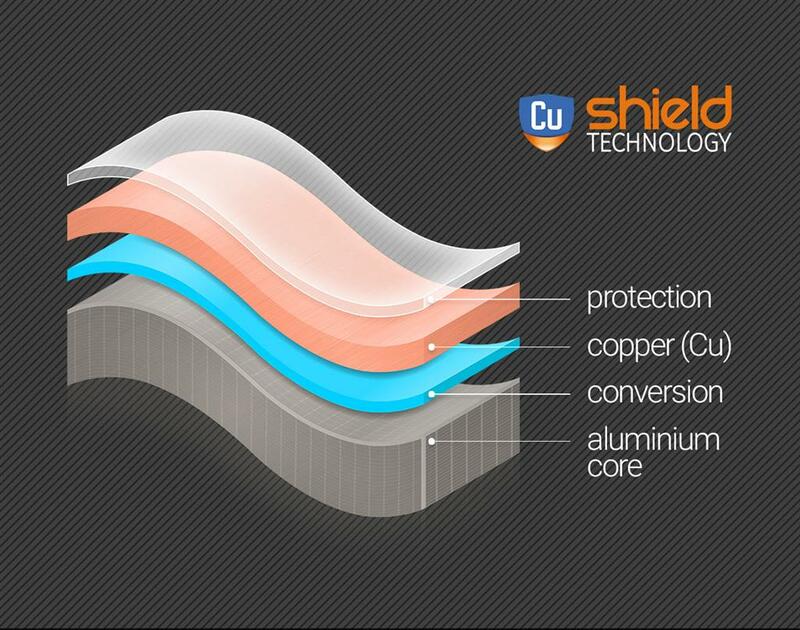 Cu Shield TechnologyTM is unique to Kerckhaert.